The last 12 months have not really been kind to the legends of the game as few of the biggest names in world football announced their retirements from the game. Chelsea lost one of its greatest ever players in Frank Lampard who decided to end his career at the MLS earlier this month. The English midfielder is among the best in the business in his position and has helped the Stamford Bridge outfit to some of their finest moments in recent times. So it did not come as a surprise when the Premier League outfit were quick to try and tie him to the club for other services. Lampard made 648 appearances for Chelsea, winning three Premier League titles and becoming the club’s all-time leading goalscorer in the process but reports from the Times now claim that he is set to reject an offer from Chelsea. The Blues want Lampard to join Carlo Cudicini and Eddie Newton at the club as ambassadors but the repot claims that the midfielder is currently concentrating on other things. The 38-year old, who has previously revealed that he would prefer to play a coaching role in the future is currently busy studying for his UEFA B license, which allows him to take up a role as a manager. Lampard is not concentrating on acquiring his badges and does not want to accept the offer from Chelsea. He announced his retirement earlier this month and is currently spending time with his family but with the FA also offering him a job in the domestic setup for England, Lampard might not be inclined to taking the role at Chelsea. The Blues are determined that the former skipper of the club is the right man for the role and they will reportedly hold talks with the 38-year old at the end of the season. 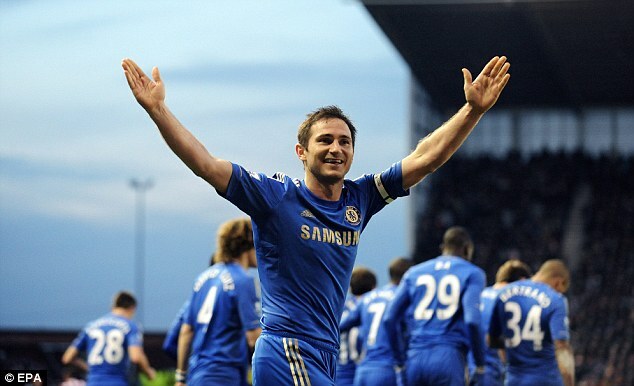 Having won 106 caps for the national side, Lampard, is one of the most experienced players in England at the moment and he would be a superb addition to the domestic setup. The Three Lions have recently got a new coach and can do with some senior voice around their squad and Lampard can be the man that can help them take the next step. Chelsea might be desperately waiting for his approval bur surely, Lampard will be more attracted to the coaching role on offer from the FA. Do you think the 38-year old will join Chelsea as an ambassador in the future?